Brands- Want to be front and center of every participant in the endurance sports world? Want to be on 200 or 20,000,000 million people at every event they do? Pick the race or races that you want to be the MOST VISIBLE Brand for a 1/10 fraction of the cost to go direct. We have relationships with the events and people. They will collect your brand with them everywhere. We have seen it. Email Share your Brand logo with us. Events- We integrate with your registration flow company and turn your event into a revenue machine both before and after! Racers will love that you’re helping them toss out unsafe safety pins and you get the marketing on the BibBoards. Your racers are thirsting for race memorabilia. 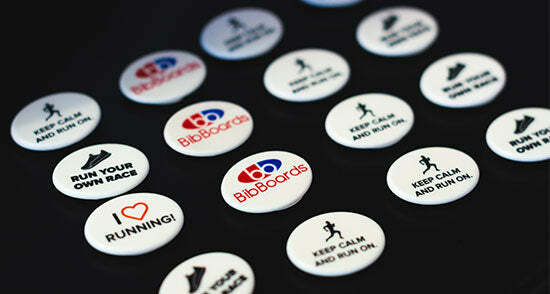 They’ll jump at the chance to buy your race event specific BibBoards with your current race logo emblazoned right on the front of every participant. Learn more. Fill out the form and one of the founders will reach out!